Creating your dream wardrobe is probably one of the main reasons people start sewing their clothes. Many of us want clothes that fit our particular body, our aesthetic, in beautiful fabric and made in fair conditions. Unless we have large financial means, the best option will end up making them ourselves. 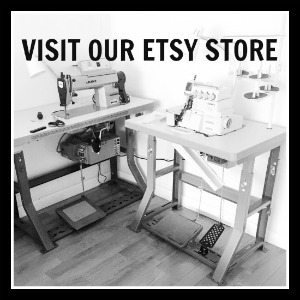 This is how my sewing journey began, and maybe yours too? It took me years to develop the skills needed to complete the garments that inspired me in the first place. The pleasure of making compensated the initial less-than-perfect results. However, once I reached a certain level, I started feeling constrained by the tools available in home-sewing. So I invested. I took pattern making and draping classes. I bought books. I shopped the best fabric I could afford. I opened all the nice garments I could get my hands on. And I bought patterns. Many, many patterns. But the disconnect between what I wanted and what I was making remained. Most of those patterns were not designed to help me achieve the wardrobe I had in mind. Worse, sometimes I would make things that looked worse than if I had bought them in a fast fashion store. Unfortunately, my sewing time was limited and I didn’t have the time to draft everything from scratch. In my last post I mentioned how the emergence of new independent patterns designers has helped in making garment sewing accessible to new sewers. I believe that it also strengthened the sewing community, making it a common learning place for instance with the in-depth information provided through sew-alongs. Intermediate and more experienced dressmakers also benefited from this movement. Suddenly, there were more patterns, more fabric, more notions becoming available worldwide. Well-established home sewing businesses were/are challenged, they become active on Social Media, they renew their offering, etc. But if you have been sewing for a long time, or you “graduated” from the beginner projects, you may want more. When in your pattern reviews you systematically answer the question “What did you think of the instructions” by “I didn’t read them” you don’t necessarily attach the same value to sewing patterns. The teaching component of many sewing patterns isn’t necessary, and you prefer to do your own thing anyway! We are “just” patterns because we don’t teach you how to sew. We believe that there are enough resources out there for us to focus on the pattern making process. Your sewing time is limited, the to-sew list is always too long… So even if you know how to draft/drape patterns, buying the pattern often saves time. Sadly, sewing budget is also limited, at least for most of us. We decided to focus on the most important part, the pattern development, so that we can keep the price of our patterns as low as possible. Our pricing is also proportional, if developing and grading the pattern requires more time/money, the price will be adjusted accordingly. This approach also makes it cost-effective for you to use our copy shop printing options. In addition to Letter and A4 printing formats, all our patterns are available in 36″ wide and A0. More sewing, less taping! At the end of the day, it is your passion, your skills, your choice of fabric and your styling will make a beautiful garment that you will love for the years to come. Patterns are “Just Patterns”! I think this is exactly what the sewisphere needs and applaud you for taking the leap! There are so many more sewists with intermediate to advanced skills now and we’re champing at the bit to flex our muscles on more challenging projects. That jacket toile in calico looks fab, fingers crossed it will be a pattern one day?! Thank you so much for your kind words!! If our first patterns work out, we defitinely want to do a lot of jackets and coats (the one shown in the post is probably #1 in our priority list), but we need to make sure there is a market for our patterns as coats and jackets are more costly to produce! I am really excited about your company and your offerings. Even though I still use pattern instructions, I feel they delay my learning. I have become used to being hand fed that I panic when I loose my instruction sheets. I suppose trying to figure out how to assemble a pattern gives you more freedom of expression, as it suddenly becomes more fun, thinking of ways to finish your seams, or deciding to add extra details to your garment. I am most interested in the spaghetti strap cami and I can’t wait to make it. Goodluck you two. Thank you so much for your support Dibs!! Unless it’s a very tricky design, I always felt that it was much more pleasant to sew without instructions because everything comes together more organically! I’m sooo looking forward to what you will make!